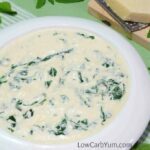 A cheesy low carb creamed spinach made with a cream cheese sauce. You won’t miss the extra unnecessary carbs found in most recipes. I’m a big vegetable eater and I absolutely love spinach. Spinach smothered in cream sauce is one of my favorite sides. Most cheesy creamed spinach recipes are made with a flour roux. The addition of flour is not necessary to thicken the sauce if cream cheese is added and less milk or cream is used. 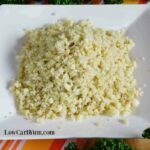 Another change that lowers the carbs a bit is using onion powder instead of fresh chopped onion. 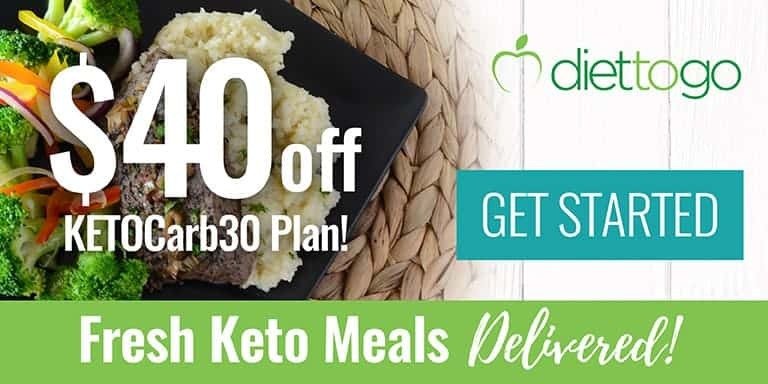 You can get the same flavor with less carbs using the dry onion powder. That’s why I like to keep a jar in my spice rack. 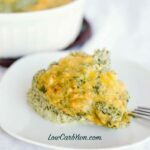 I also like the additional flavor that the cream cheese brings to this low carb creamed spinach dish. This recipe is similar in taste and texture to the one that is served at Boston Market. Which used to be my favorite side there. When I first made this cheesy dish, I used two boxes of frozen spinach. But, then I tried it with fresh spinach and liked it better. You can use either one. It’s totally optional, but I think adding crushed pork rinds on top is a nice touch. It adds some crunch and a bit more color. You can also adjust the amount of spinach to your liking. I personally like it drenched in the sauce. This low carb creamed spinach has become one of my favorite side dishes for the holidays. It goes well with both turkey and ham. And, I can sometimes get my daughter to eat her vegetables because this cheesy spinach is so good. The prep for this cheesy creamed spinach dish is also quick and easy. It doesn’t take long to throw it together. So, not only is it a good side dish for holidays, it’s also perfect for busy weeknights too. Like macaroni and cheese, I think this dish is warm and comforting. My family enjoys having it as a side throughout the fall and winter seasons. Thank goodness none of us has to follow a dairy free diet. We just love cheese too much! 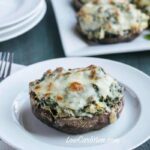 If you also love spinach and cheese, give this low carb dish a try. The cheesy cream sauce is terrific way to get the family eating their veggies. What’s your favorite way to serve spinach? Does it include cheese? 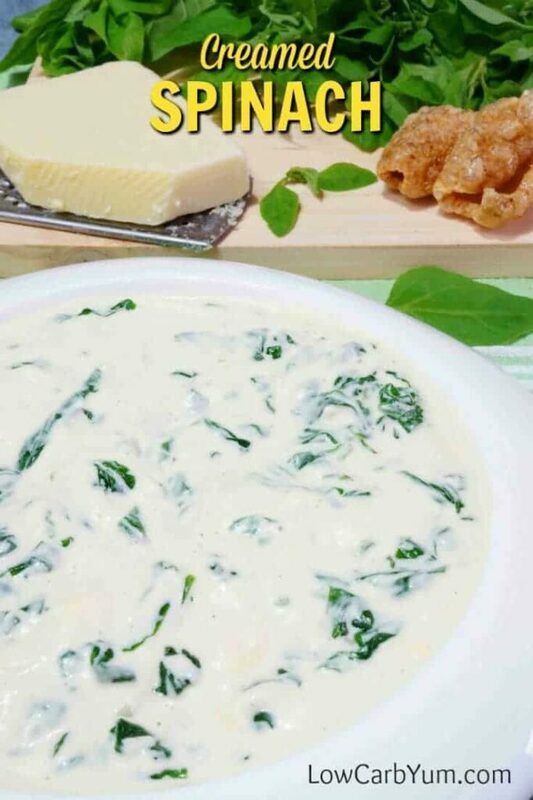 Cheesy spinach smothered in a low carb cream cheese sauce. You won't miss the extra unnecessary carbs found in other recipes. Saute garlic and onion powder in 3 tablespoons butter. Mix in spinach and cook on low, covered, about 5 minutes. In another pot, mix 1 tablespoon butter with cream cheese, heavy cream, and parmesan cheese. Cook on medium heat until cream cheese is melted. Whisk until smooth. Add salt and pepper to taste. 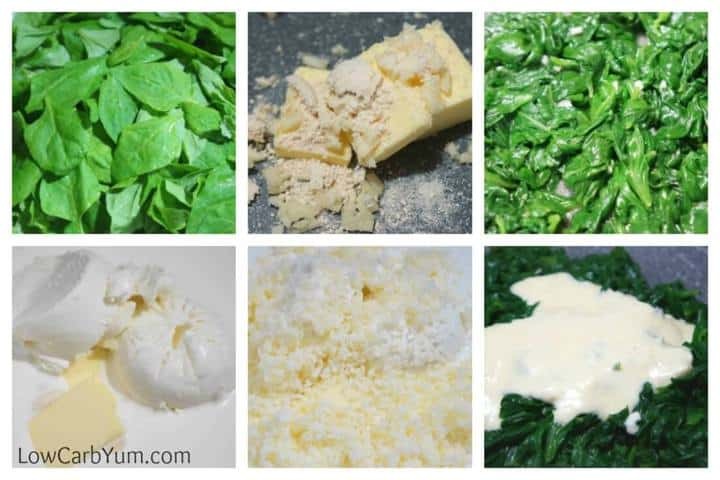 Add cheese sauce to cooked spinach. You can eat as is or make ahead to reheat in a casserole sprinkled with crushed pork rinds. Delicious! This has quickly become a weekly regular. I sometimes half the recipe using the full amount of spinach depending on the macros I need, and it is still just as tasty. Thanks for so many wonderful recipes! HOLY COW is this good!!! I’ve always made creamed spinach with a roux and even if/when I’m not doing such a low carb way of eating anymore, I’ll still keep making it this way instead! I used fresh spinach and it’s to die for – thank you so much!! My pleasure! Glad the low carb creamed spinach was such a hit. I made this for Christmas; it was the best. So easy to make and tastes better than some expensive restaurants I have ate at. My grandchildren (ages 9 yrs to 21 months) loved it’s well as the adults. You’re welcome. I’m so glad the family enjoyed the cheesy creamed spinach side dish. I served mine with sauteed mushrooms and a pork chop….yummy!! Creamed spinach always goes well with pork! I made this and added minced breakfast link sausage! Oh my God so freaking good!!! Great idea to add in some meat! Thank you!! This was so delicious although I had forgotten to add the cream cheese and believe me I had all intentions to add it however, it turned out great!! Good to know it works out without the cream cheese! HUGE YUM! Made exactly as written except I used both fresh and frozen (in bag) spinach. Fast and easy to prepare and both my husband and I loved it. 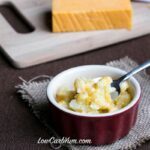 Cheesy and creamy and a great side dish with almost anything. 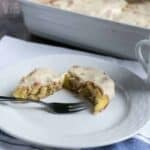 We are Keto eaters and I will be making this again for sure. Thanks for writing in to let us know how much you enjoyed it! Love, Love, Love! I have made this twice in two weeks. My family likes it too! Yummy!! Very decadent! 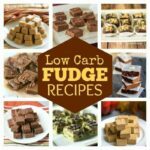 Always great when the rest of the family eats the low carb creations! OMG made this tonight and it was DELISH! 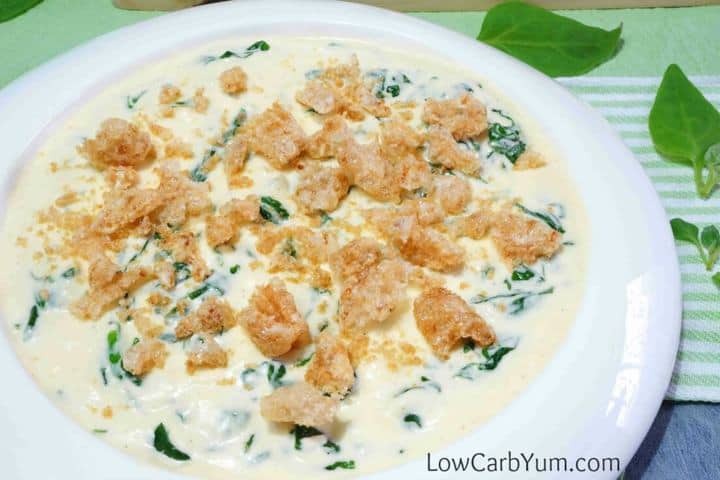 Used fresh spinach, 1/4 cup less heavy cream to make thicker and added freshly grated nutmeg. Soooo good! 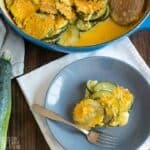 Thank you for a great low carb dish. What about using fresh spinach? How much would I use and would I cook it first or mix it raw? You’d use the same, just cook first and drain. Thanks for the suggestions Mindy! This was fantastic! I cut the recipe in half since there were just 3 of us and I almost wish I had made the entire thing! I will definitely be making this again. Yay! Good to hear this one worked out so well for you. I also cut in half for 3. My husband finished it off. No leftovers. I used milk instead of cream. Still tasted great without the fat. I think heavy cream adds too much fat and calories. Could I substitute anything else for this? You can use coconut milk or almond milk or dilute the heavy cream with water. Just made this & it is delicious! The serving size is a bit confusing. Says it serves 8 but under the nutritional information it says a serving is one cup. All total this recipe made 3 cups when I used the 20 oz chopped frozen spinach. It comes out to 2 net carbs for 1/2 cup which would be 6 servings. It did make lots of sauce, I think next time I might add more spinach. Does it make larger servings if you use fresh spinach? Sorry, I’m really not trying to be nitpicking but I am confused. Thanks for this delicious recipe! It’s like half cup serving. The cup size is misleading. I’ll get that fixed. I made a cream spinach recipe today before I saw your blog. I didn’t use cream cheese, I used heavy cream. I didn’t miss the cream cheese because I’ve never had it that way but it turned out great without it. I didn’t sauté onions either, I just added sparingly some Cayanne pepper and some Tumeric because that’s what just happened to be sitting there but the topper to all this is I sautéed 4 large shrimp in some olive oil then added the spinach, then cream and Bam! In 3 mins I had my meat and vegetable. Next time I may add some dry garlic powder. I think I am going to enjoy this website. Thank you. 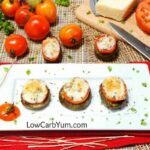 I have a too-good-for-words stuffed 1/2 bell peppers with ground turkey that you might be interested in and it is so quick and easy. I made it last night and it was so good I wanted to have it for breakfast this morning. Which I did. :-). Can also be frozen. The stuffed peppers sounds yummy. I haven’t made them with turkey. 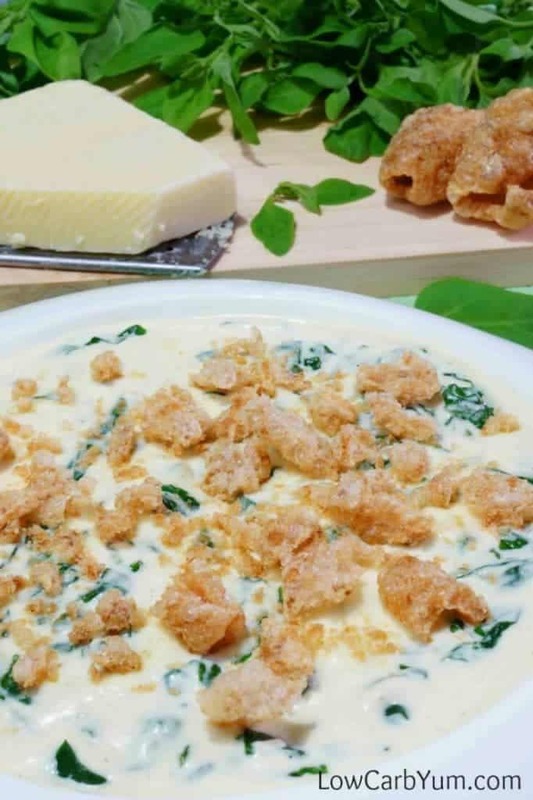 Thanks for sharing the creamed spinach recipe! I can’t find heavy cream . 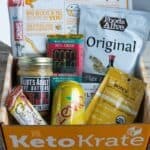 Can I use it successfully to make this recipe. Either of those should work. As long as it’s the higher fat cream. This is amazing! Love it. Is it really only 352 calories for 1 cup? How many servings does the whole recipe make? 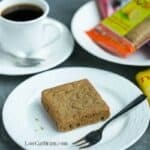 This recipe is so easy and absolutely delicious! I used pecorino/ Romano ( cause that’s what was in the fridge ) and it came out perfect. Thank you so much, Lisa. This recipe is absolutely delicious. I used pecorino Romano instead of the parmesan (because that’s what I had in my fridge,) and it came out perfect!! 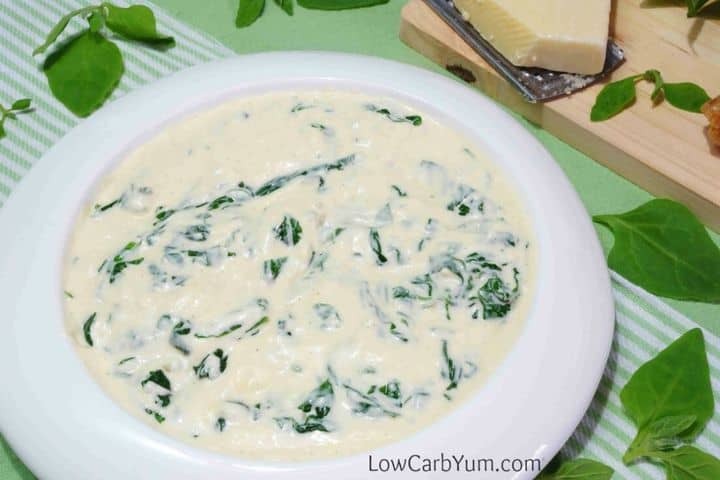 Love the low carb creamed spinach Lisa! Romano is a great choice for cheese too! Glad it worked out for you! This was delicious. I melted all of the butter together with the cream cheese, whisked in the cream and seasonings, then melted in the shredded Italian cheeses. Added drained cooked spinach at end and heated through. This easy recipe is a keeper. Thanks for sharing your method! I agree that this one is a keeper. I made this dish when my 7 grandchildren were over visiting, I was thinking (foolishly) at least I will have a side dish that fits in my diet. The kids were first in line and I heard them commenting amongst themselves “I don’t know what this green stuff is but it’s good”! By the time I got thru the line there was maybe 2 tablespoons left and the kids were wanting me to make more! How do you think this would reheat as leftovers? I’ve reheated it with no issues. Could you use fresh spinach? If so, how much would I need? It would still be about 20 ounces. This was really good and easy to make! Oh great! I was just going to see if I could find the info for you, but seems like you got it. Phillip, I actually have the same question. So how much raw did you find would be close enough? I’m glad you liked it! It’s one of my favorite side dishes. My 9 year old loved this. Winner! That’s great! I’m still struggling getting my kids to eat spinach. Oh. My. Gosh. I’ve never had creamed spinach, I just made this, and it is my new favorite food. It’s really good!! And it’s something my carb free hubby can eat! Glad you gave it a try! We love it too! I’m not a big spinach eater but this looks very appetizing (plus I think I saw spinach on sale!! ).